It has been a bajillion years since I’ve done a Birchbox review, but I promised myself I would get back on the straight and narrow! 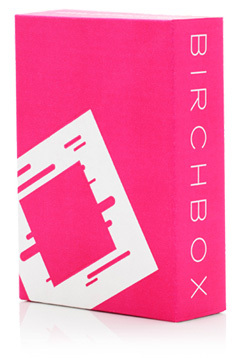 The June 2012 Birchbox featured products with a jet-setting summer vacation flair. I do have to say that it wasn’t my favorite box I have gotten, but I wasn’t completely disappointed either! 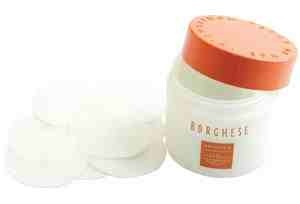 Birchbox says: These gel-soaked pads instantly perk up jetlagged eyes with soothing witch hazel and goldenseal extracts. My thoughts: I have chronic dark circles under my eyes (thank you, Italian genes), so I am a wee bit of an eye cream junkie. But, as we all know, with you can’t expect to really get a feel for a product after only using it once, which was my problem with these eye compresses. I only got two (one for each eye…), so I only got to try them once, and it is highly unlikely I’m going to buy a product that costs $51 without knowing if it actually works. Plus, I have this issue where I am constantly moving, so unless I’m going to sleep I’m probably not going to lay down with my eyes closed. Creams are just better for my ridiculous lifestyle! Birchbox says: The votes are in, and this award-winning tinted moisturizer tops the list. It’s our daily shortcut to dewy, glowing skin. My thoughts: I didn’t really find this cream to be ‘luminizing,’ but this could be because I felt like the shade was way too dark for my complexion. The sample came in a small bottle, more than enough for one use, but I don’t think I’ll try it again unless I happen to become exponentially more tan over the summer. Birchbox says: A team of biochemists spent years developing this daily moisturizer, which uses four different peptides to trigger collagen production and reverse wrinkles. My thoughts: I LOVED this moisturizer. I have been using it the past few days during the morning and at night and I can definitely see a difference in my skin. My complexion appears to be more even and hydrated than usual. I just wish that it wasn’t so expensive! The moisturizer is brand new so you can’t find it in too many places just yet, so I’m crossing my fingers that the price will go down as it starts to get carried by other shops. Birchbox says:We’re crazy about this two-in-one lip and cheek stain; the sheer gel formula delivers a subtle, long-wearing flush. My thoughts: I love stains, but it is so hard to find a good one! This stain is marketed as both a cheek and lip stain, but I found that I preferred to only use it on the lips. It gave them the perfect reddish-pink hue! My only complaint is that it faded too quickly, but other than that I am considering purchasing the full size. 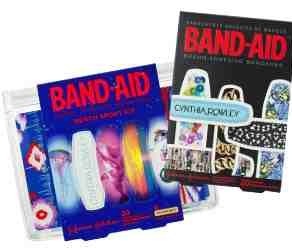 Birchbox says: Be prepared for life’s little emergencies with these stylish designer bandages. My thoughts: Such a cute little extra that I don’t even want to use them! Birchbox says: In honor of Father’s Day, we’ve included this dapper cologne, a blend of ginger, juniper berries, and vetiver. Pass it on to a lucky guy friend or family member. 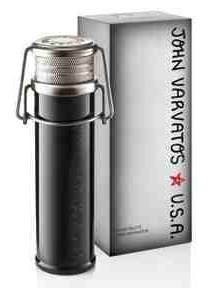 My thoughts: Even though this was for men, I didn’t mind it as an ‘extra’ since it was a 6th product in the box. However, this stuff is strong. I opened it to smell it, dabbing a small drop on my wrist, and immediately was overwhelmed by the scent. It smelled like I doused myself in the cologne. I surveyed a couple young men friends on what they thought of the scent. They nixed it. I believe one said, “it makes me smell like an old professor.” So, there ya go.